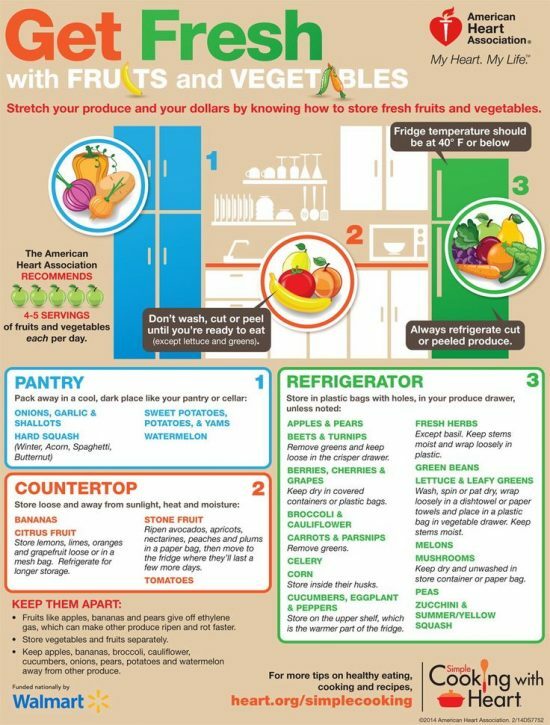 There are several things you can do to make your fresh fruit and vegetables last longer and spoil less and we’ve got lots of tips and tricks to share. Check them all out now. 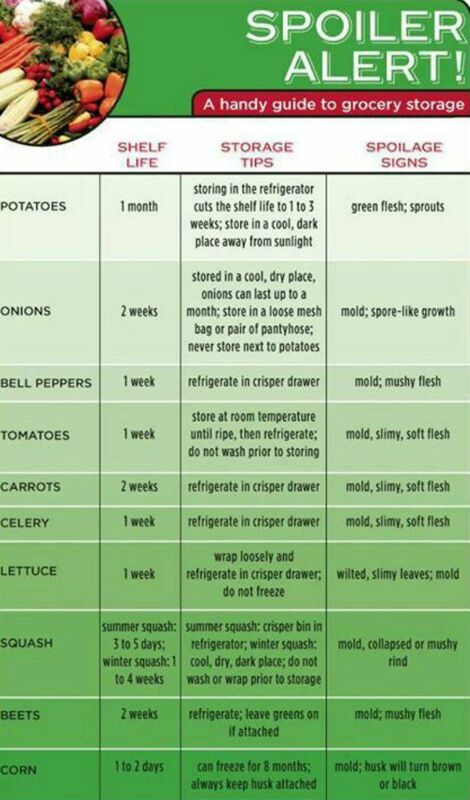 Did you know that some fruits, vegetables and sauces will spoil quicker if they are stored cold? This is just one of the helpful tips you will find in the following infographic. To say that we learned a thing or two is an understatement. 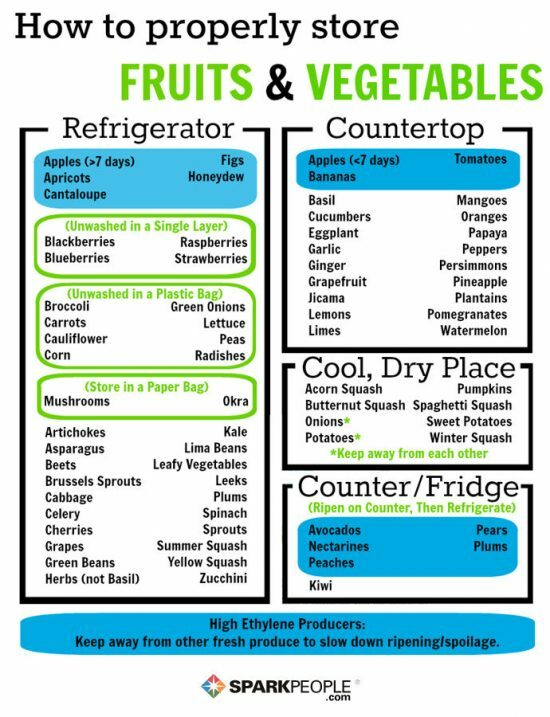 By implementing some simple changes to the way you lay your fridge and pantry out, you will save money through less produce spoiling. Onions, Garlic and Potatoes should never be refrigerated. They’re best stored in a cool place away from direct light. When it comes to countertops, there are some special tips to adhere to. Bananas, Citrus, Stone Fruit and Tomatoes should be stored loose and out of sunlight, heat and moisture. Another choice you find yourself needing to make is whether to refrigerate or freeze. 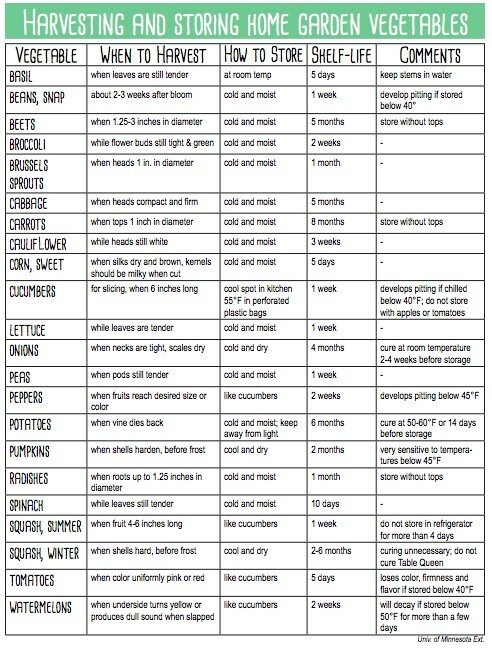 This handy chart shows you how long you can expect the shelf life to be. 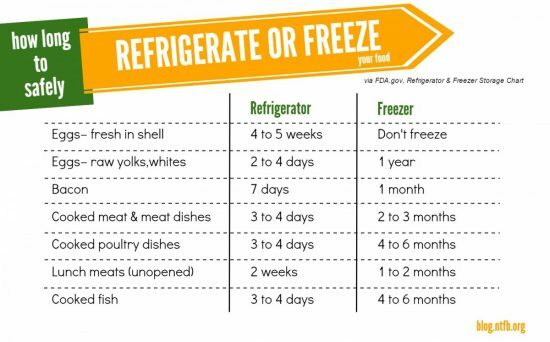 Bacon, for example, will last 7 days in the fridge but up to a month when you freeze it. Continue scrolling our page for more helpful charts. They will come in very handy and we have even included one that shows when to harvest your fruit and veg. When you do things correctly they will naturally last longer. It is also important to recognise that high ethylene producers need to be kept away from other fresh products otherwise they will speed up the ripening process. Knowing what goes where is important if you want your items to last their longest possible time. For example you should always keep the the husk attached to your corn and you should wrap your lettuce loosely and refrigerate in the crisper drawer of your fridge. Store your tomatoes at room temperature until ripe and don’t wash until they are ready to use. You can store your onions for up to a month in pantyhose or loose mesh bag. Never store with Potatoes. This chart from One Good Thing By Jillee has more handy information that you can print and pop on your fridge. 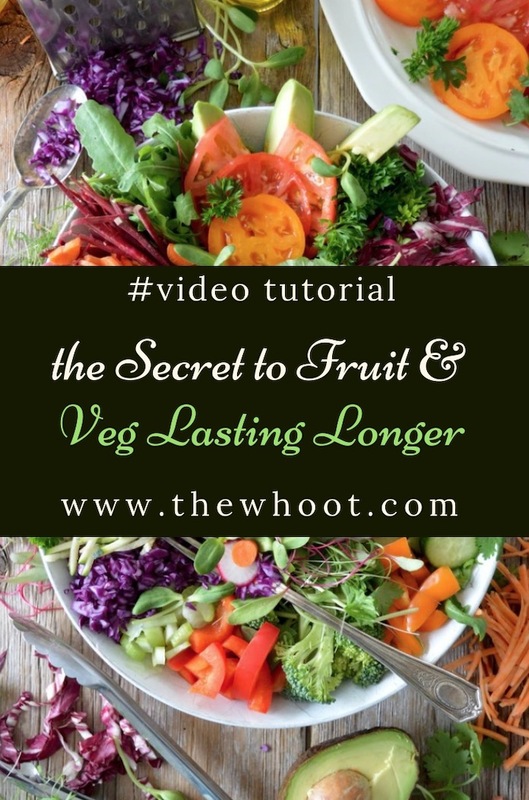 If you would like more tips, see how you can save money by re-growing your fruit and veg here and also the 20 fruits and vegetables that fight disease here.